Dr. Anirban Sengupta had started his career in the industry with almost a decade in the arena of credit rating with CRISIL (an S&P Global Company) and then with FITCH Ratings as part of its India-startup team as Vice President. 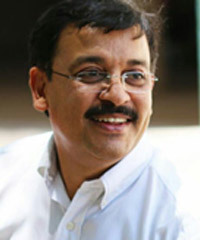 He moved into academics in 2001 as Associate Professor with Goa Institute of Management (GIM) - specialized in the area of RETAILING - served as Visiting Faculty to IIM Indore, IIM Kozhikode and other leading management institutes for the RETAIL MANAGEMENT elective - and was awarded Dewang Mehta Best Teacher Award for Retailing in 2009. He has been in leadership roles thereafter with ASCI (Administrative Staff College of India) Hyderabad and UPES (University of Petroleum and Energy Studies) Dehradun. His academic interest lies at the intersect of Marketing, Finance and Strategy - he brings in a cross-functional perspective in the classroom. His has special interest in the areas of INFRASTRUCTURE MANAGEMENT, HEALTHCARE MANAGEMENT and SOCIAL SECTOR MANAGEMENT. He had served on the Advisory Board of the inaugural Post-Graduate Program in Energy Management offered by IIM Ranchi in 2013 - in association with University of Houston USA and UPES Dehradun. "Building Blocks of Strategy Execution"
"Aligning your organization with strategy"
"Marketing In The Board Room"
"Relevance of Marketing In Organizations"
"Linking Customers and Value Propositions To Business Processes"
"Police Service : Developing The Brand"
"Overview : Sales and Marketing"
"Marketing and the Public Sector"
"Aligning Business Processes With Customer Needs"
"Credit Rating and Non-Finance Executives"
Ajay is a proven academician, and educationist at heart, who has over 27 years of experience in Management Education. He is a dedicated and enthusiastic professional who has developed managerial talent in last Thirty years of his career. Over time he has gained a wealth of knowledge and experience in training Industry executives with various facets of marketing. He is highly motivated and analytical professional who has previously held senior management positions as the Director of a Management Institute (BITM). He has implemented projects like setting up Computer Centers and Engineering units. Teaching Experience: Faculty Marketing / Associate Professor / Additional Responsibility – Admission Chairperson, IT Chairperson, Academic Chairperson. One Year Certificate Programme in Sales & Marketing for Executives of AstraZeneca Pharmaceuticals (in Fundamentals of Marketing & Consumer Behaviour) Batch 2006 - 07, 2007 - 08, 2008 - 09, 2009 - 10, 2010 - 11. Training for a Stock Broking firm Latin Manharlal Stock broking Pvt. 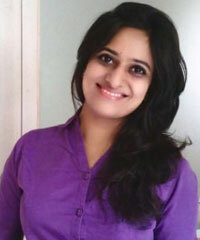 Ltd., Mumbai on Relationship Marketing for Sub Brokers. Training for Top performers (Business Development Officers) of LIC of India on 'Personal Branding', at LIC Training Centre, Gurgaon. Dr Mahesh Gadekar has post doctoral research experience from European Union. He has earned Ph.D in marketing management. 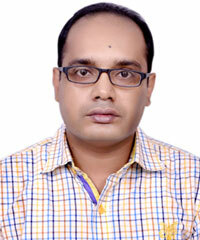 He has qualified NET and was awarded Junior Research Fellowship in Economics by UGC. He has more than 16 years of work experience with premier research centers and business school. 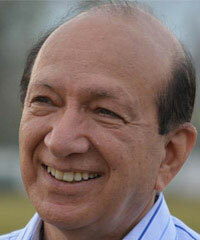 He has attended workshops and presented papers at the international conferences at the IITs and IIMs. His research interests are retail management, consumer behavior, and branding. More than 16 years of work experience with premier research centers and business school. Has attended workshops and presented papers at the international conferences at the IITs and IIMs. 9 YRS of work experience in corporate, academics and consulting. Associated with companies namely Cadilla Pharmaceuticals Ltd., Dr. Reddy's Labs, Fem care Pharmaceuticals. 3. Presented a paper in national conference in INDIRA institute of management titled as "Internal branding strategies which affect employee brand commitment in the services sector" and published in IIMP Journal with ISBN-978-93-85777-17-2, Feb. 2016. 9 yrs. of teaching experience in renowned management institutions namely MIT-group of institutions, Vishwakarma institute of management, Symbiosis institute of management, Institute of management education research and training, Pune. Experience in marketing with pharmaceuticals, insurance, financial market, consumer goods and service sectors. 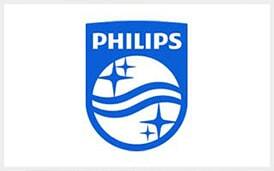 Also experience in quality assurance department and risk management. 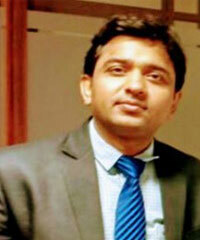 Prof. Kiran Mahasuar is an alumnus of Xavier Institute of Management, Bhubaneswar (XIMB) and has worked for seven years in middle- management level with prominent FMCG organizations like ITC Limited, Perfetti Van Melle, and Dabur India Ltd. 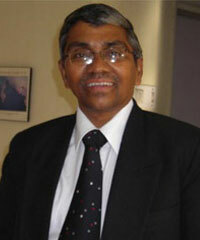 He is an avid case-writer and his Teaching Cases are registered with ET Cases, NHRD-MTI and The Case Centre (UK). He has also written extensively on contemporary strategic topics for popular practitioner-centric publications like The Management Accountant, Indian Management, The Smart Manager, and Point of Purchase. Also briefly associated with MICA, Ahmedabad from 2016-2017 with their Branding PR initiatives. 1. “Demonetisation and its Impact on Business,” Panelist, 14th AIMS International Conference on Management, Ahmedabad, December 27, 2016. 1. Mahasuar, K. (2018). Yo Yo Gujarati – Spreading Gujjuness Globally. Under review with Ivey Cases, Canada. MBA, B.Sc; Diploma in Computer Engineering. Assistant Professor (Marketing), International School of Business & Media, Pune (India), Since, 15th January, 2018. Assistant Professor (Marketing), Swayam Siddhi College of Management and Research (University of Mumbai), Dist. - Thane(Mumbai), 10th July, 2017 to 30th November, 2017. Assistant Professor (Marketing), Thakur Institute of Management Studies & Research (University of Mumbai), Mumbai (India), 1st Sep; 2014 to 30th June, 2015. 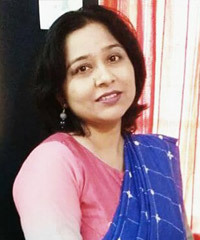 Lecturer (Bachelor of Business Management), Shree Krishna Mahila College (Magadh University, Bodh Gaya), Jehanabad, Bihar (India), 1st July 2011 to 31st May 2012. 5. Rajesh Ranjan and T. Prasad (2014), "A Study on Work-Life Balance of Indian Railways’ Drivers", Proceedings of ‘International Conference on Innovation and Management (IAM 2014 W)’, ISSN: 2218-6387, Organized by Society for Innovation in Management (SIiM), at Intercontinental, Bangkok (Thailand), 20th -23rd January, pp. 831-836. 8. Rajesh Ranjan (2014), "Socio Economic Conditions of Migrant Workers Engaged in Construction Industry in Virar-Mumbai", TIJ’s Research Journal of Social Science & Management (RJSSM), Singapore, Volume: 04, Number: 08, December 2014, pp. 15-21, http://www.theinternationaljournal.org/ojs/index.php?journal=tij. 11. Rajesh Ranjan and Vishnu A. Patankar (2015), "Using Right to Information Act to Achieve Level-Playing Ground for Inclusive Growth", Proceedings of "International Conference on Innovative and Sustainable Management Practices: A Global Perspective", Organized by Thakur Institute of Management Studies & Research, Mumbai (India), 23rd -24th January, 2015, pp. 146-152, ISBN: 978-2-642-24819-2. 12. Rajesh Ranjan and Dr. T. Prasad (2015), "Pre-Paid Taxi Drivers of Mumbai and their Work-Life Balance", TIJ’s Research Journal of Social Science & Management (RJSSM), Singapore, Volume: 04, Number: 12, April 2015, pp. 149-153, ISSN: 2251-1571. 14. Rajesh Ranjan and T. Prasad (2017), "The Relationship between Work Environment, Occupational Stress, Job Motivation and Job Satisfaction: An Analytical Study Among Loco-Pilots (Railway Drivers) in India", Proceedings of The IRES International conferences on Economics and Social Sciences (ICESS), Sponsored by The IIER (International Institute of Engineers and Researchers) at London, United Kingdom, 18-19th January, 2017, pp. 1-4. ISBN: 978-93-86291-91-2. 15. Rajesh Ranjan and T. Prasad (2017), "The Relationship between Work Environment, Occupational Stress, Job Motivation and Job Satisfaction: An Analytical Study among Loco-Pilots (Railway Drivers) in India", International Journal of Management and Applied Science, Volume-3, Issue-3, Mar.-2017, pp. 88-91. ISSN: 2394-7926, http://iraj.in. 16. Rajesh Ranjan and T. Prasad (2017), "Demands at Work and its Effect: An Analytical Study on Loco-Pilots (Railway Drivers) in India", Proceedings of The International Conference on Business Research and Public Policy (ICBRP), Organized by Chandragupt Institute of Management Patna, Bihar (India), 09-10th March, 2017. 17. Rajesh Ranjan and T. Prasad (2017), "Job Demands and its Effects on Health: A Study on Indian Loco-Pilots (Railway Drivers)", IOSR Journal of Humanities and Social Science (IOSR-JHSS), Volume 22, Issue 5, Ver. 5 (May 2017), pp. 27-35, e-ISSN: 2279-0837, p-ISSN: 2279-0845. DOI: 10.9790/0837-2205052735, www.iosrjournals.org. 18. Rajesh Ranjan and T. Prasad (2017), "A Review of Existing Psychological Stress Models and Suggested New Approach", TIJ’s Research Journal of Social Science & Management (RJSSM), Singapore, Volume: 07, Number: 2, June 2017, pp. 7-18, ISSN: 2251-1571. www.theinternationaljournal.org. 1. Rajesh Ranjan (2014), "A Study on Work-Life Balance of Indian Railways’ Drivers", International Conference on Innovation and Management (IAM 2014 W), Organized by Society for Innovation in Management (SIiM) at Bangkok (Thailand), 20th -23rd January, 2014. 2. Rajesh Ranjan (2017), "The Relationship between Work Environment, Occupational Stress, Job Motivation and Job Satisfaction: An Analytical Study Among Loco-Pilots (Railway Drivers) in India", The IRES International conferences on Economics and Social Sciences (ICESS), Sponsored by The IIER (International Institute of Engineers and Researchers) at London, United Kingdom, 18-19th January, 2017. 1. Rajesh Ranjan and Vishnu A. Patankar (2015), "Using Right to Information Act to Achieve Level-Playing Ground for Inclusive Growth", International Conference on Innovative and Sustainable Management Practices: A Global Perspective, Organized by Thakur Institute of Management Studies & Research, Mumbai (India), 23rd -24th January, 2015. 2. Rajesh Ranjan and T. Prasad (2017), "Demands at Work and its Effect: An Analytical Study on Loco-Pilots (Railway Drivers) in India", The International Conference on Business Research and Public Policy (ICBRP), Organized by Chandragupt Institute of Management Patna, Bihar (India), 09-10th March, 2017. 1. International Conference on "Innovation and Management" (IAM 2014 W), Organized by Society for Innovation in Management (SIiM) at Bangkok (Thailand), 20th - 23rd January, 2014. 2. The IRES International Conferences on Economics and Social Sciences (ICESS), sponsored by The IIER (International Institute of Engineers and Researchers) at London, United Kingdom, 18th - 19th January, 2017. 1. 3rd Biennial Conference of the Indian Academy of Management (2013), IIM, Ahmedabad, 12-14 Dec; 2013. 2. Practice Leaders Forum (2013), Organized by National Institute of Industrial Engineering (NITIE), Mumbai and Production and Operations Management Society (POMS), USA Jointly at National Institute of Industrial Engineering (NITIE), Mumbai, 23rd - 24th Dec; 2013. 3. Round Table Conference on "Innovations in India" (2014), organized by National Institute of Industrial Engineering (NITIE), Mumbai, 13th February, 2014. 4. International Conference on Innovative and Sustainable Management Practices: A Global Perspective, Organized by Thakur Institute of Management Studies & Research, Mumbai (India), 23rd - 24th January, 2015. 5. Tech Next India 2014-15 Convention on "IT Education Solemnised" (2015), organized by CSI at IIT, Mumbai, 31st Jan; and 01st Feb; 2015. 6. National Conference on Industrial Engineering & Technology Management NCIETM (2016), Organized by National Institute of Industrial Engineering (NITIE), Mumbai, 17th - 19th Nov; 2016. 7. The International Conference on Business Research and Public Policy (ICBRP), Organized by Chandragupt Institute of Management Patna, Bihar (India), 09-10th March, 2017. 1. Entrepreneurship Summit 2013, IIT Bombay, 2nd - 3rd February, 2013. 2. Global Entrepreneurship Summit 2015, IIT Kharagpur, 16th – 18th January, 2015. Received full funding from ICSSR, New Delhi to attend and present a paper in International Conference on Innovation and Management (IAM 2014 W), at Intercontinental, Bangkok (Thailand), 20th - 23rd Jan; 2014. Received funding from NITIE, Mumbai to attend and present a paper in The IRES International Conferences on Economics and Social Sciences (ICESS) at London, United Kingdom, 18th -19th Jan; 2017. With over 17+ years of combined experience in academics and industry, Dr. Gangopadhyay has a differentiated ability to connect theoretical frameworks with real life business context. He is a paper presenter of several international and national conferences such as IIM- A(twice), BVIMR, IEA, Vidyasagar University, W.B.S.U, Bangkok(award winner), Indonesia, Colombo(award winner).Received gold medal (twice) from industry for best performance. Published article in UGC approved SCOUPUS, ICI SCiPress referred journals such as IJM, JHM (SAGE), IJCMS etc. B. Pharm (BNG), M.B.A, PhD(Mgmt.) from West Bengal State University. Served 8+ years in pharmaceutical corporates like Zydus Cadila Healthcare Ltd., Cachet pharmaceuticals Ltd., Gloconate at different levels. 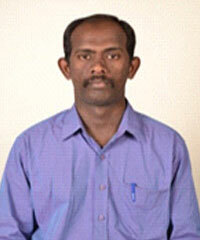 For last 9+ years he is teaching management and related subjects in several colleges and universities. a. Delivered lectures and conducted training session extensively in areas of marketing for senior defense personnel & corporate executives. b. Designed a project on “Development of ecotourism with augmentation of traditional medical plants in the natural source from Tripura forest” for Govt. of Tripura and BITR in 2014.
c. Project on “Survey of the Distribution Channel of the Food Products in Kolkata Metropolitan Area and Identify New Opportunities” as project Analyst of ILEAD & Food Processing Industries and Horticulture Dept., Govt. of West Bengal. d.Conducted a training sessions on customer handling staffs and doctors of a time tested Calcutta based Cancer hospital in December 2010 (Total 5 hrs.) conducted by ELILILY-Ranbaxy (India). 22 article / paper in International & national journals, conference proceedings, edited book. a. Published article in UGC approved SCOUPUS, ICI,SCiPress referred journals such as Indian Journal of Marketing, Journal of Health Management (SAGE), International Journal of Commerce and Management Studies, ILSHS, The Indian Economic Journal etc. b. Presented research paper in conferences of IIM-Ahmedabad (Twice), IEA, BVIMR, WBSU, Vidyasagar University etc. c. Award winnerof conferences held at Colombo, Bangkok and Bali-Indonesia. d. Reviewerof “International Journal of Marketing & Financial Mgmt. Has worked for Kolkata based academic brands like NSHM, IIMS, ILEAD, ECMT, IIIM, BESC, ST. XAVIER’S university. Awarded with gold medal (twice)by Zydus Cadila for best performance. Shovan joined the industry in the field of marketing communication. 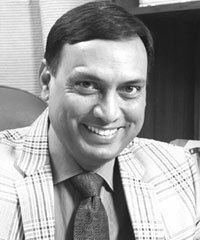 Having worked for over 36 years as Vice President in agencies like Mudra, Rediffusion, Shovan switched to the marketing side as Executive Vice President of Emami Limited. 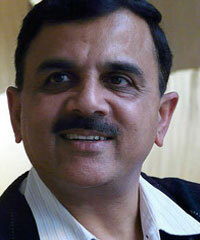 During his tenure he has played his part and created various national brands and category leaders. Along with industry work Shovan has always associated himself with academics and teaches in reputed B Schools. Formerly with IIM Ahmedabad; Former Chairperson-Placement, XLRI Jamshedpur; Ex-Director, Symbiosis Institute of Business Management, Pune; Consultant to over 80 companies worldwide. Author of over 100 research papers, cases and management games. Research quoted internationally in textbooks and journals. Served on Government of India Committees on Management Education. 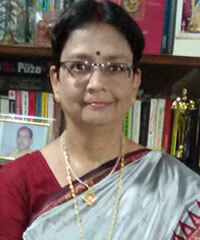 Former Group Head (HR, Admin & Quality), IRIS Ltd.; Former Dy. Div. 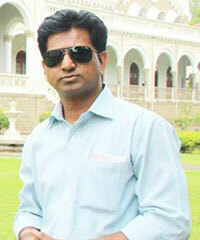 Manager, TATA Metaliks Ltd. His research interests are Talent Management. Performance management and Organizational Change. 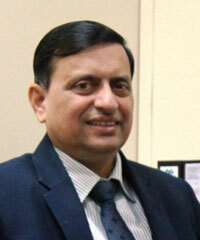 He has also conducted several Management Development Programmes for various organizations. Consultant to leading organizations, also well versed in psychometric testing and analysis. Has over 13 years of experience in teaching and MDPs and over 26 years work experience in diverse industries ranging from automobiles, construction, Iron & Steel and IT services and has held senior level positions in TATA Metaliks and IRIS Business Services Limited. Specialized in the area of HRM, OB & TQM, Is a certified Lead Auditor for ISO-9000 and a certified examiner for Business Excellence awards. Life member of the higher education forum and a panel member on mentoring committee for initiatives in small and medium industries of CII Western India, Chapter. Brief Description - Prof Y G Chouksey has a post-graduate diploma in personnel management from Calcutta University preceded by a post graduate degree in Mathematics from Nagpur University and a degree in law from Ravishankar University. 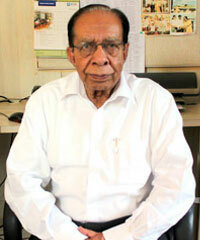 He had a brilliant academic career and stood among the top rankers in all examinations. He has more than 58 years' work experience - 37 years in the industry and 21 years in teaching. 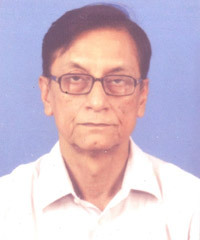 He held many key positions like Chief, Organisation & Systems, Chief, Company Secretariat, Chief Town Administrator, Chief Training & Development and General Manager (Personnel & Administration in Steel Authority of India Limited (SAIL, a public sector undertaking ) during his tenure of 30 years commencing from 1960. Later he worked for Modi Cement Limited (now ACEL, a private sector company) for 7 years from 1991 from where he retired as Sr. Vice President (Personnel & Administration) in 1997. Subramanyam Degala has graduated from Andhra University in Bachelor of Commerce and did his Post graduation - M. A. in Social Work with Human relations and Labor welfare as specialization from Delhi School of Social Work, University of Delhi in 1983. He had also done MBA in Marketing and number of short duration courses from IIM Ahmadabad, IIM Calcutta and Administrative staff college of India Hyderabad. He started his career with Public Sector undertaking called Heavy Engineering Corporation Limited. Ranchi as Executive Trainee (Personnel and Administration). He worked In HEC for nearly 9 years and grew to the position of Industrial Relations in charge looking after a Plant, which has strength of nearly 8000 employees. Honda Siel Power Products Limited. Delhi as General Manager – Corporate HR and General Affairs. 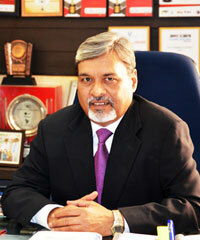 He is widely travelled and served in CII committees and co designed Executive development programmes with IIMB. IIML and MDI for the organizations he has been working. 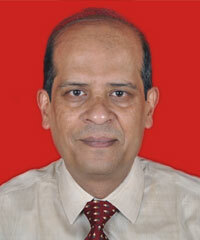 He gives consultancy to industries and does Organization interventions and adept in Executive Development programmes. He has always been top ranker in college and University and National Merit scholarship holder all along his studies. He was very active in student politics and held number of positions during his studies in student politics. Married and had two grown up daughters. 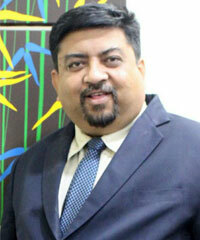 He has flair for writing on HR and other topics and has contributed to many	publications. List of his publications are given below. Strategies for Human Resource Development - Financial Express, Bombay 3.2.94. Family Feuds and Corporate Performance - Financial Express, Bombay 29.3.94. Managing Human Resources - Financial Express, Bombay 5.4.94. Human Resource Management Strategies for Improving Productivity - Chemical Business magazine - March 94. Corporate Loyalty - A Dying Trait. - Ascent, Times of India, Pune 24.5.95. Changing Economic Scenario and Labour Legislation - A Critique - National Convention of ISTD, Ranchi 26-27 Feb 93. Human Resources as Competitive Advantage National HRD Symposium, Calcutta Feb 23-24, 95. Human Resource Outsourcing – Pause and think in PARADIGM a magazine published by IMT Ghaziabad, a top ranked business school. July 2002. A dynamic professional with 15 years of experience as a leader and competent administrator in corporate and academics. Delivered lectures at UG and PG (management) level in OB and HR. Conducted various workshops for management students. Efficient in designing training programs. Efficient in handling recruitment and selection. Experienced instructor and competent in creating highly simulative learning environment. Superior interpersonal skills with an ability to interact with wide range of people. Focused, pragmatic and proactive in handling challenges. Attended seminars and participated in national and international conferences and workshops. Instrumental in organizing various events. 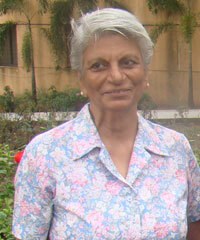 Prof. Suchitra Renguntwar has a Master's degree in Psychology (M.A) from Marathwada University (Dr. BAMU) Aurangabad. She has qualified the National (NET) and State (SET) eligibility test for assistant professorship in Psychology, and has a General Nursing Diploma from Cooper Hospital, Mumbai. 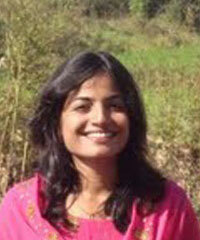 She has completed on-the-job intensive training in handling Global Intranet (IT). She has 7.5 years of corporate experience in Global Intranet of MWH Global, a water resources engineering company based in USA with a presence in almost 15 countries and 100 locations. Her experience is contemporary and intensive in terms of assisting in knowledge management and community of practice, global content management, and various online and classroom Information Technology (IT) programs. She has a rich international communications experience and has intensively dealt with culturally diverse population worldwide. She has presented at an international conference in the USA (HQ. MWH Global) winning an award for her global virtual team. MWH Global (April 2009 - October 2016) - Assisted in global intranet content and knowledge management. Passed the Ph.D. entrance for Pune university. 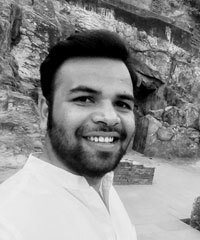 Applied to various universities for Ph.D.
Pursuing his PhD as a full time research scholar from IIT Kanpur with a demonstrated history of working in the consulting sector and software companies. Skilled in Statistical Data Analysis, Statistical Modeling, C++, Management, and Java. Strong research professional with a MBA focused in Human Resources Management and Organizational Behaviour from Indian Institute of Technology, Kanpur. Submitted his PhD thesis and waiting for his oral exam. B.E, Information Technology, Govt. College of Engineering and Textile Technology, Serampore, Calcutta University. "Relating Architectural and Modular Innovation to Organization Structure of the R&D Function", Dr. R.R.K.Sharma & Surajit Saha,, EJBR (European Journal of Business Research), Volume -14, Number -3, ISSN: 1945-2977, Page Number -29-38, 2014. "Relating Personality and Creativity types", Authors: Surajit Saha, Dr. R.R.K.Sharma & Arjun Kulhar, CBR (California Business Review), Volume-3, Number-1, 2015, ISSN: 2330-9156, Page Number-31-40, 2015. "Relating Big five factor theory of personality to innovative leadership", Dr. R.R.K.Sharma & Surajit Saha, CBR (California Business Review), 3(2), 37-40, 2015. 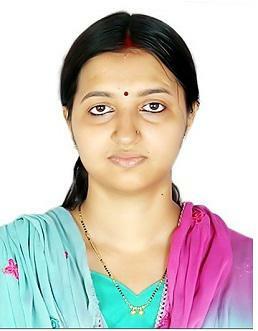 Dr. N. Srividya PDF, has a vast experience blended with good academic record and is NET qualified in Management. She is a B. Tech, MBA, with M. Phil and Ph. D. She did not stop there either. She continued to do her Post-Doctoral Fellowship from UGC. 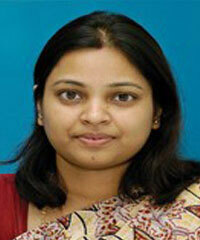 She has a good professional experience and exposure of thirteen years in various institutions across India. She has been awarded the best teacher from an organisation National Foundation for Entrepreneurship and Development (NFED). 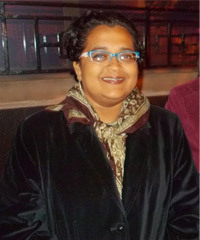 She is the editor and panel member for several professional bodies, universities and journals. She published ten journal papers in several International, UGC refereed journals and seventeen papers in several conferences. She also session chaired several conferences and delivered many invited talks along with attending several workshops and Faculty Development Programmes (FDP). As a person, she is committed, dedicated and sincere. Indeed, she is an asset to the organisation. She published ten journal papers in several International, UGC refereed journals and seventeen papers in several conferences. She has been awarded the best teacher from an organisation National Foundation for Entrepreneurship and Development (NFED). Ph.D, M.Com, UGC NET and PGDIM from Amity Business School, Noida Fellow of Insurance Institute of India, Mumbai. More than 16 years of experience in corporate training and in the areas of Academics. Prior to Academic Industry he has been working with Bajaj Auto Ltd. and ING Vysya Bank. He has presented several Research Papers in International Conferences in the areas of Banking, Financial Inclusion and Micro Insurance. He has attended various faculty training programs in institutions like IIM Ahmedabad, Yashda Pune, IVEY Business School, ISB Hyderabad and ISB Chandigarh. His areas of research interests include Banking Risk Management, Investment Banking, Insurance Underwriting and similar studies. He is Full time member of Commerce Association of India. Currently he is holding the Position of Chairperson Academics for PGDM programs at International School of Business & Media, Pune. Along with teaching he is also involved in conducting Placement workshops, Developing course modules in Finance area, Mentoring students, GDPI process, Member of academic council, Handling Compliance with Government bodies and involved in other Institutional building activities. He provided the full spectrum of financial services, Project finance & Investment consultancy to few leading SME’s and startups in Pune. His areas of research interests include Banking Risk Management, Investment Banking, Insurance Underwriting and similar studies. He has presented several Research Papers in International Conferences in the areas of Banking, Financial Inclusion and Micro Insurance. He is presently involved in teaching in the areas like Banking Management, Investment Banking, Business Laws, Financial Markets & Services, Life & General Insurance Practices and other Finance subjects. The best paper presentation award in “All India Commerce Association Conference” Nagpur. Completed Master Teacher Program of ISB, Hyderabad. Attended & completed case study teaching program of IIM- Kolkata & ISB - Mohali. Has a rich industry experience in finance domain of 11yrs. plus 7 years of teaching experience. Worked as a Senior Wealth Manager with Kzen Equities Pvt Ltd, a UK based advisory company, Share Khan, etc. 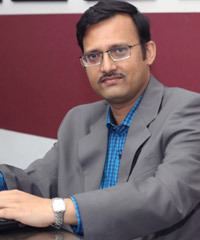 His current research interests include the areas of Financial Services and Stock Market.He presented a paper in conference of Sheffield Hallam University-UK, Waikato Management School- New Zealand & IIT .He has participated in workshops, short term courses and faculty development programs organized by ISB-Hyderabad & Ivey Business School- Canada, IIM- Calcutta, Govt. of India, Bombay Stock Exchange, etc. He also went for Study tour to Singapore and Malaysia. He has cleared seven modules of NISM and NCFM. He is member of Financial Planning Standard Board, India (FBSB) and The Society of Financial planners, Pune He is Associate Member Risk Management Association of India. B.Com, MMS (Finance) NMIMS, Certified Financial Planner (C.F.P-USA); DTL- Symbiosis; ICWA Intermediate. Pricing of software based on Cost sheet. Published 2 papers in international journals. A-“Effect of Indian Union Budget on Capital Market”. B-“Technical Analysis or Fundamental Analysis as Investment strategies in Financial Crises”. Total 6 years of teaching experience for management post graduate .Faculty for courses as Financial Management, Operational Financial Decisions and Controls, Financial Markets. Over 3 decades of working experience in large corporates including global multi-national companies. Association with these companies involved being part of the senior leadership team as CFO / Head of Finance. Companies associated with in the past include: Foseco India Ltd, SRF Ltd, BPL Ltd, Mather & Platt Pumps Ltd, Force Motors Ltd, Tata Autocomp Systems Ltd, Mann & Hummel Filters India Ltd. The industry experience is coupled with 6 years of experience in teaching as well as consulting in areas of Business Finance. Areas of specialization include: Strategic Financial Planning, Project as well as Working Capital planning and funding, Spearheading and managing Company Operational Performance, Technology integration in finance, Mentoring and Training personnel from different domains in areas of finance. B.Com (specialization in Finance & Advance Accounting), & Chartered Accountant (Fellow Member of the Institute of Chartered Accountants Of India). Strategic Financial Planning, Project as well as Working Capital planning and funding, Spearheading and managing Company Operational Performance, Technology integration in finance, Mentoring and Training personnel from different domains in areas of finance. 6 years of teaching experience in areas of Management Accounting, Financial management, financial statement analysis, Financial Management. Worked with Symbiosis Institute of Management Studies, ICFAI, Sinhgad Institute of Management. Over 15 years of Teaching experience . 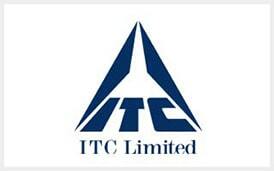 Has also worked as corporate trainer for organization like LIC,TIL. He has rich experience of 12 years in academics and research. He has previously taught at Kohinoor Business School & Centre for Management Research, Khandala and Pune Institute of Business Management, Pune. He has rich research experience with Gokhale Institute of Politics and Economics, Pune and worked on 4 research projects (2 sponsored by World Bank and 2 Ministry of Agriculture, Government of India). He authored several research papers in national journal repute and presented papers in international and national conferences. His area of interests is Managerial Economics, Macroeconomics, Business Environment and Development Economics. He has rich experience of 12 years in academics and research. He has previously taught at Kohinoor Business School & Centre for Management Research, Khandala and Pune Institute of Business Management, Pune. 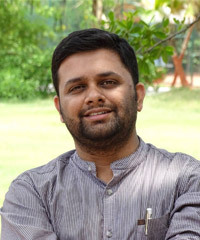 He started his career as Research Assistant in Gokhale Institute of Politics and Economics, Pune. M.B.A., M.Phil., Ph.D. (Anna University, Chennai). Dr.R.SATHEESHKUMAR has completed his Ph.D from Anna University, Chennai, Tamil Nadu and M.Phil (Management) from Alagappa University, Karikudi, Tamil Nadu and prior to holds M.B.A from Maharaja Engineering College, Coimbatore-Affiliated to Anna University-Chennai, Tamil Nadu. He has 13 years of teaching experience and worked with various educational institutions such as Vivekanandha Business School for Women, Tamilnadu, DC School of Management and Technology, Idukki, Kerala and Nehru College of Engineering and Research Centre, Thrissur, Kerala. His area of research interest includes Service Marketing and Finance. He has published seven research articles in referred National and International Journals with impact factor, besides attended several National and International conferences and seminars. He is also a Peer Reviewer for Scientific Research– An Academic Publisher and Honorary Peer Reviewer for Global Journal of Management and Business Research, Global Journals Inc, US. MBA from Maharaja Engineering College, Coimbatore -Affiliated to Anna University-Chennai, Tamil Nadu. 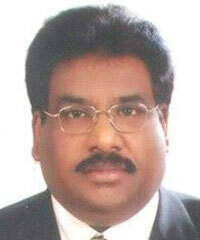 M.Phil (Management) from Alagappa University, Karikudi, Tamil Nadu. Currently working as Faculty at International School of Business & Media, Nande, Pune, Maharashtra from June 2017 onwards. Worked as Assistant Professor at Nehru School of Management, Nehru College of Engineering and Research Centre, Thrissur, Kerala from June 2014 to June 2017. Worked as Assistant Professor at DC School of Management and Technology, Vagamon, Idukki, Kerala from June 2012 to June 2014. 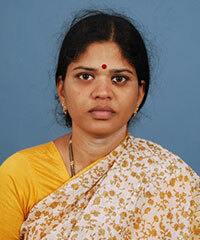 Worked as Assistant Professor at Vivekananda Business School for Women, Namakal, Tamilnadu from Aug 2008 to March 2012. 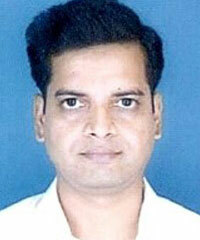 Worked as Lecturer at M.P.N.M.J .Engineering College, Erode, Tamilnadu from Aug 2006 to June 2008. Worked as Lecturer at Shevaroys College of Hotel Management and Catering Technology, Yercaud Hills, Salem, Tamilnadu from Jan 2005 to Aug 2006. His area of research interest includes Services Marketing and Finance. He has published seven research articles in referred National and International Journals with impact factor, besides attended several National and International conferences and seminars. Published an article titled “Service quality measurement and customers perception about the services of supermarket” in International Journal of Management, Journal Impact Factor (2013): 6.9071, indexed in Social Science Research Network (SSRN) and Index Copernicus. Published an article titled “An empirical study on learning outcome of various courses in MBA/PGDM Program" in International Journal of Management Research and Development, Journal Impact Factor: 6.993, (2015). Published an article titled “Customer perceptions on service quality of front office staff at hotel” in International Journal of Scientific Research, Journal Impact Factor (2015): 3.104, indexed Ulrich’s Periodicals Directory, Indian Citation Index and Index Copernicus. Published an article titled “A comparative study on performance of selected mutual funds with reference to Indian context” in Asian Journal of Research in Social Sciences and Humanities , Journal Impact Factor: 3.094 and Impact Factor Global: 0.315 (2016), UGC Listed and Anna University Updated List Journal. Published an article titled “Retail service quality of big bazaar retail store Thiruvananthapuram: An empirical study” in Asian Journal of Research in Social Sciences and Humanities, Journal Impact Factor: 3.094 and Impact Factor Global: 0.315 (2016) UGC Listed and Anna University Updated List Journal. Published an article titled “An Overview on Finance Policy of Educational Institutions” in Nehru School of Management Journal (NSMJ) with ISSN: 2349-4883 Vol.1, No.1. Published an article titled “Convergence of Bhagavat Gita and Management- Combination of Historic and Contemporary Philosophies” in Nehru School of Management Journal (NSMJ) with ISSN: 2349-4883 Vol.2, No.1. Published a Case Study titled, “Legal issues with respect to acquisition of premises for new entrepreneurial venture” in Indian Journal of Applied Research, Volume No.8, Issue No.7, July 2018 issue with ISSN - 2249-555X with impact f​actor of ​​5.397, index Copernicus value: ​​​​​​​86.18,​​ ​​​​UGC Sr.No.49333. Over 12 years of experience in corporate as well as academics and teaching in various premier B Schools in Pune. Experience of conducting workshops and corporate training sessions on Leadership, Motivation, Team Building and Goal Setting. 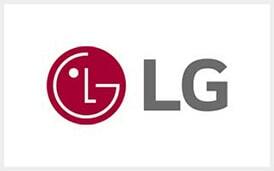 Has rich corporate experience, having started with PricewaterhouseCoopers (PwC) and Andrew Yule and later on worked in senior positions in BOC India Ltd. (now renamed as Linde) for over three decades. 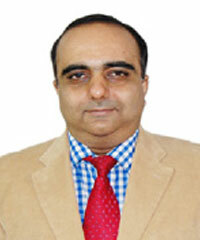 Has been a faculty for various accounting and finance courses at ISB&M for more than nine years. Has also been a visiting faculty at IISWBM, Kolkata for the same period. Research: Published a research paper on ‘Have the special economic Zones succeeded in attracting FDI?– Analysis for India” in theoretical economics letters journal in 2017. Worked as a Research Associate for TEEB (The Economics of Ecosystems and Biodiversity) under the supervision of Prof. Haripriya Gundimeda for a year). Worked as a Research Associate at Department of Humanities and Social Sciences of IIT Bombay from October 2017 to March 2018. Thakur, Barun Kumar, Himanshu Sekhar Rout, and Tamali Chakraborty. 2014. Environmental Degradation, Sustainable Development and Human Well-Being: Evidence from India. Manthan: Journal of Commerce and Management, Journal Press India 1(1), 101-120. Chakraborty, Tamali; Gundimeda, Haripriya; Kathuria, Vinish. 2017. Have the Special Economic Zones Succeeded in Attracting FDI?—Analysis for India. Theoretical Economics Letters 7 (3), 623-642. Chakraborty, Tamali; Thakur, Barun Kumar. 2012. “Theoretical Understanding of Special Economic Zone Strategy in India: A Case Study of GMR SEZ of Hyderabad”, In Soundarapandian, M (Eds), Development of Special Economic Zones in India: Volume one Policies and Issues, Concept Publishing Company (P) Ltd., New Delhi ISBN: 978-81-8069-7722. Chakraborty, Tamali 2017. Reflection on Conflicts Revolving around SEZs in India- Case Study of Mundra, Gujarat. Paper presented at Mandarin Orchard Hotel, Singapore during 2nd to 4th August 2017 organised by Singapore Economic Review Conference. The paper was co-authored by Dr. Haripriya Gundimeda and Dr. Vinish Kathuria. Chakraborty, Tamali. 2016. Urbanising India through Special Economic Zones (SEZs) and its impact on the surrounding Environment: Evidence from Mundra, Gujarat, India. Paper presented at IISC Bangalore during 4th -6th January 2016 organised by Indian Society for Ecological Economics, India. The paper was co-authored by Dr. Haripriya Gundimeda and Dr. Vinish Kathuria. Chakraborty, Tamali. 2014. Economic benefits of SEZs in India with special reference to impact of SEZs on generation of FDI. Paper presented at TIES 2014 during 12th – 14th December 2014 at Punjabi University, Patiala, Punjab India. The paper was co-authored by Dr. Haripriya Gundimeda and Dr. Vinish Kathuria. Chakraborty, Tamali. 2013. Analyzing the Impact of Mundra Port and Special Economic Zone Limited (MPSEZL) on Coastal Environment of Gujarat, India. Paper presented at Tezpur University during 4th -8th December 2013 organised by Indian Society for Ecological Economics, India. 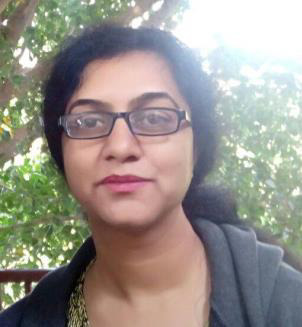 The paper was co-authored by Dr. Haripriya Gundimeda and Dr. Vinish Kathuria. Chakraborty, Tamali. 2012. Is There any Negative Externality of Urbanization through Developing SEZs on Coastal Biodiversity? Evidences from Mundra SEZ, Gujarat. Paper presented at URBIO 2012 during 8th -12th October 2012 at Indian Institute of Technology Bombay, India. The paper was co-authored by Dr. Haripriya Gundimeda and Dr. Vinish Kathuria. Chakraborty, Tamali. 2012. What explains location of Indian SEZs? – Preliminary estimates. Paper presented at TIES 2012 during 1st – 3rd March 2012 at Pondicherry University, Pondicherry, India. The paper was co-authored by Dr. Haripriya Gundimeda and Dr. Vinish Kathuria. Chakraborty, Tamali. 2011. Assessing the environmental costs of Special Economic zone in the context of India: A Case of Mundra SEZ of Gujarat, India, paper presented at AIT Conference Centre, Asian Institute of Technology, Pathumthani, Thailand, organised by South Asian Network for Development and Environmental Economics (SANDEE) on 19th May 2011. Chakraborty, Tamali; Thakur, Barun. 2010. Theoretical understanding of Special Economic Zone Strategy in India: Case study of GMR SEZ of Hyderabad. Paper presented at 2010 GRU conference on Special Economic Zones in India: Prospects and Implications held during 28-29 January 2010 at Gandhi Gram Rural Institute Tamilnadu, India. Attended Third Asia Link Workshop in Law and Economics as part of the activities under the Asia Link Program on Human Resource Development in Law and Economics in India and Europe held during 22th July-30th July, 2008 at IGIDR, Mumbai. Attended workshop in Research Methodology by Indian Council for Social Science Research (ICSSR), Southern regional centre held during 16th February-2nd March, 2009 at University of Hyderabad, Andhra Pradesh. Attended a training course on “Environmental and Natural Resource Economics” organised by South Asian Network for Development and Environmental Economics (SANDEE) from 2nd May- 20th May, 2011 at AIT Conference Centre, Asian Institute of Technology, Pathumthani, Thailand. Attended a training workshop on “Ecology and Economics” organised by Gujarat Institute of Development Research (GIDR), Indian Society for Ecological Economics (INSEE) and South Asian Network for Development and Environmental Economics (SANDEE) from 29th November – 2nd December 2012 at GIDR, Ahmedabad, India. Attended workshop on “Re-Imagining Economic Development” organised by Institute for New Economic Thinking (INET) from 23rd July- 24th July 2015 at Jadavpur University, Kolkata. Taught a course on Business Economics during June-August 2012 for PGDISEM and PGDTM students in National Institute of Industrial Engineering (NITIE), Mumbai as a guest faculty. Awarded Gold Medal from Tripura University for topper of B.Sc. (Economics Hons.) in 2009. Awarded ‘Jawaharlal Nehru Scholarships for Doctoral Studies’ by Jawaharlal Nehru Memorial Fund during 2011-2013. Awarded ‘ICSSR Doctoral Scholarship’ by Indian Council of Social Science Research during 2013-2015. Got full funding for SANDEE for attending a training course on “Environmental and Natural Resource Economics” organised by South Asian Network for Development and Environmental Economics (SANDEE) from 2nd May- 20th May, 2011 at AIT Conference Centre, Asian Institute of Technology, Pathumthani, Thailand. Got full funding from IIT Bombay for attending Singapore Economic Review Conference at Singapore from 2nd to 4th August 2017. Ph.D. (IIT Kharagpur) M.S. (USA). Contributor to Nobel Peace Prize 2007 to IPCC. Former Faculty at XLRI Jamshedpur. Scientist at NML, Jamshedpur & NCL Pune. Consultant to IPCC, SDC, GTZ, UNFCCC, Ministry of Environment and Forests, GOI and several industries globally. Author of highly reputed research papers. Former Dean (Academics), XLRI Jamshedpur. Worked with Tata Motors, Maruti Udyog Ltd., ISRO, and Braithwaite & Co. Ltd. Visiting Professor in Germany, Denmark, Egypt, Ecuador & UAE countries. Was awarded the "Best Teacher Award" by AIMS in 1999. World Education Congress has felicitated him as one of the “100 Most Influential Directors in India (Education)” in 2016. Has over 50 papers and publications. A corporate consultant. Life Fellow of many professional bodies. Feasibility study for the introduction of Australian Technology for the coal fines beneficiation project at Bharat Cocking Coal Ltd., Dhanbad, under the Economic Assistance Program between Australia and India. Human resource plan for 39 plants of Ordnance Factories Board, Ministry of Defence, Government of India. It involves employee strength of around 150,000. Consultancy services on human resource management and industrial relations to Heavy Engineering Corporation Ltd., Ranchi, Jharkhand. Consultancy project on Job Analysis for J. K. White Cement Works, Rajasthan. 3. Recipient of "100 Most Influential Directors of India (Education)" award by Global Education Congress in Mumbai, India in June 2016. 4. Received Certificate of Merit from the Institution of Engineers (India) for a research paper in 1996. Twenty one years with Indian Navy in various positions of which last 7 years in embedded technology-based System Design, Training on Integration and Operations. MIS, ERP and Short term capability training. Teaching experience and also handling public related assignments of the Institute. B.Tech. (IIT Bombay), PGDM, MMS Pune. Worked with Vickers Sperry India Ltd. and Mahindra Group of Companies. 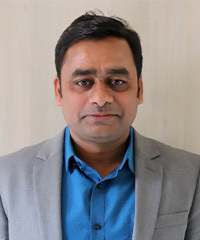 Managing Director of Redecam India Private Limited. B. Tech (Electronics & Communication), M. Tech (Electronics & Communication), Calcutta University. 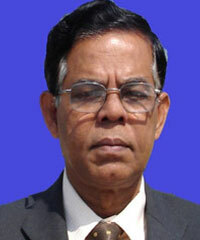 Prof Karabi Bandyopadhyay has graduated from Presidency College, Calcutta with honours in physics. She did her B. Tech & M. Tech from Institute of Radio Physics & Electronics from Rajabazar Science College, Calcutta University. 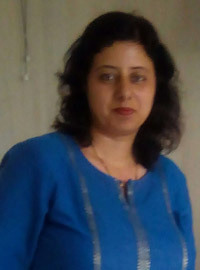 She has over 15 years of industry experience and has worked in various private sector as well as public sector companies such as Tata Steel, Webel, Sofpit Computers, Infolink etc. She has over 15 years of academic experience and has been teaching in various management and engineering institutes including ISB&M, Sikkim Manipal Group of Institutes etc. 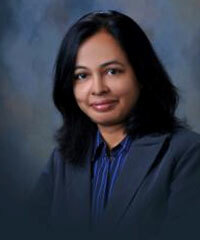 Her areas of expertise are embedded systems, wireless and digital communication and mobile computing. She has specialized in the fields of web application development, mobile application development, database management systems, ERP implementation, data mining, big data, business analytics and internet of things. B.Sc. (Physics Honours) from Prasidency College, Calcutta University. B. Tech in Radio Physics & Electronics from Rajabazar Science College, Calcutta University. M. Tech in Radio Physics & Electronics from Rajabazar Science College, Calcutta University. Senior Project Engineer, WEBEL Electronic Communication Systems Ltd. (A Govt. of West Bengal Undertaking), September 1986 to July 1992. 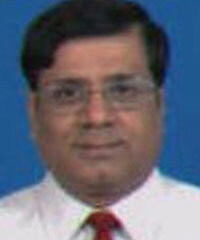 Deputy Manager, Automation Division, Tata Iron & Steel Company Ltd. (TATA STEEL), July 1992 to December 1992. Software Consultant, White Plains, New York, USA, October 1997 to June 1998. Senior Software Consultant, Infolink Pvt. Ltd., Jan 1999 to July 2002. E-Commerce: Past, Present & Future (Publisher - Vrinda Publications, New Delhi, 2009). Mobile Commerce Commerce (Publisher - Prentice Hall of India, New Delhi, 2013). She has also written/edited several wiki-pages in Wikipedia and is an active Wikipedia editor and contributor. She has published a number of blog articles on various topics such as mobile payments, cloud computing, business intelligence, big data, business analytics, internet of things etc. Faculty, Electronic & Communication, Sikkim Manipal Group of Institutes, August 2002 to July 2004. 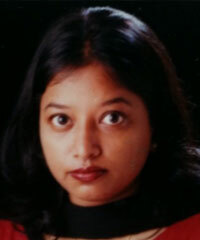 Faculty, Systems, International School of Business & Media, Kolkata, July 2004 till date. Recipient of prestigious Award of Excellence in the field of indigenous developmental work from Government of India in 1992. Siddharth has over 16 years business experience working with multinational companies and start-ups. His expertise lies in Supply Chain Strategy/Analysis, Capital Markets and Algorithm development. 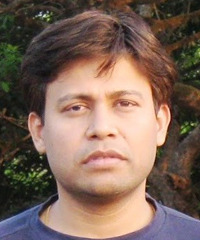 Siddharth has worked in India and the United States. He holds a M.S (Manufacturing Systems) from the University of Texas, Austin and has publications in the fields of Supply Chain, Capital Markets and Strategic Affairs to his credit. Over 35 years of experience in Industry and Academics. Worked in senior positions in Ad Agencies such as J. Walter Thompson, Grant Kenyon Ekhardt and LINTAS. 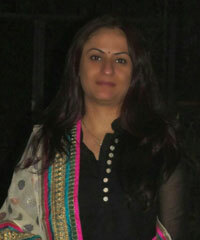 In Corporates as Advertising and PR Head in Greaves Cotton, Mafatlal Industries and Tata Services. A marketing, Advertising and PR specialist. Teaching a range of courses - Advertising, Communications, Services Marketing, Sales and Distribution, and Rural Marketing. Four books to his credit - Business Communications Today (SAGE), Making PR Work (A H Wheeler), Customer 1st (Bombay Chamber of Commerce), and PR Manual (Advertising Agencies Association of India). Published a large number of Comment articles in business magazines and newspapers in areas of Marketing, Advertising, PR and Self-Development. Case-studies published in ET Cases and ICFAI journals. Regular contributor of professional pieces/articles on LinkedIn and Academia.edu. President of the Advertising Club of Mumbai, Chairman of PR Society of India, and Association of Business Communicators of India. Reading, writing and presentations at professional fora. Presented papers at international conferences of AMIC, Singapore, PRSI India, and Advertising Club of Mumbai. More than 12 Years of experience in teaching with leading Media Institutes like SIMC & Indira Group. Has expertise in Graphic Designing, Video editing & Sound editing softwares. BA (Economics) from Pune University, Pursuing MBA in Brand & Advertising from Venkateshwara Open University, approved by AICTE & under UGC. Consultant in designing for more than 15 corporate companies. More than 10 Years of experience in teaching with leading Media Institutes like SIMC & Indira Group. Has expertise in Graphic Designing softwares. 2. Best Faculty in Symbiosis Institute of Media & Communication, Pune in 2010. Over 15 years Industry and Academic experience, in Broadcast Journalism. Has worked as Correspondent and Freelance with National & International Media Companies. In academic she has been associated with, University of Pune, Indira School of Management and MIT International School of Broadcast and Journalism. 1. Received Jawaharlal Darda Scholarship for seeking Rank First in Bachelor of Mass Communication & Journalism in the year 2001 at Dr. Babasaheb Ambedkar Marathawada University, Aurangabad. 2. Ranked 5th(fifth) in Merit List in Master of Mass Communication & Journalism in the year 2002 at Dr. Babasaheb Ambedkar Marathawada University, Aurangabad. 4.5 years Industry and Academic experience, Worked for IIIT Allahabad, Multiversity, and WCAPL. Worked for several central and state government projects. A faculty with around 26 years of working experience. 12 years of industry experience as TV journalist, news producer and AV correspondence (News magazine and non-fiction) with Doordarshan, ZEE TV, ETV etc. 14 years of experience in teaching, mentoring, consulting and team leading in educational institutes and media departments in govt. and private sector. A communication, language and literature specialist with over a decade and a half of experience. 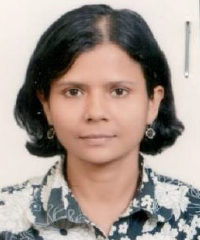 Partner at Aaspire Learning Solutions, Arunima is an expert in Interacting with corporates and doing TNA (Training Need Analysis), Planning, Organising and implementing various training schedules for corporates like IOCL, BPCL, RBI, FAASCO INTERNATIONAL DUBAI, among others. A faculty with over 10 years of academic experience, teaching various communication and HR subjects in Techno India Engineering & Management College, BBIT Management Studies Department, etc. 12+ years of industry experience in leading media houses namely ABP Pvt. Ltd., Living Media India Ltd. 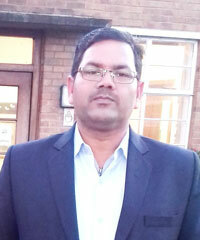 Worked for 3 years as project coordinator in Center for Applied Positive Psychology, Coventry, UK. Over 2 years’ experience as resource person for rural leadership development program of Action Aid funded programs.Over 10 years of experience in media sector. Worked as AV correspondent, anchor (fiction) with ATN World television channel, content creator and producer of YouTube channel. 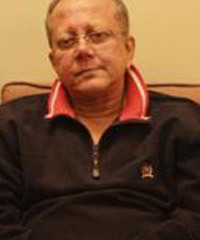 Worked in 2 Bengali feature films as part of directorial team. Associated with All India Radio music and spoken word programs for 20 plus years. Theatre practitioner, worked with International collaborative theatre production on border studies, with Cornell University. USWorked as research assistant of multinational project of University of Illinois.